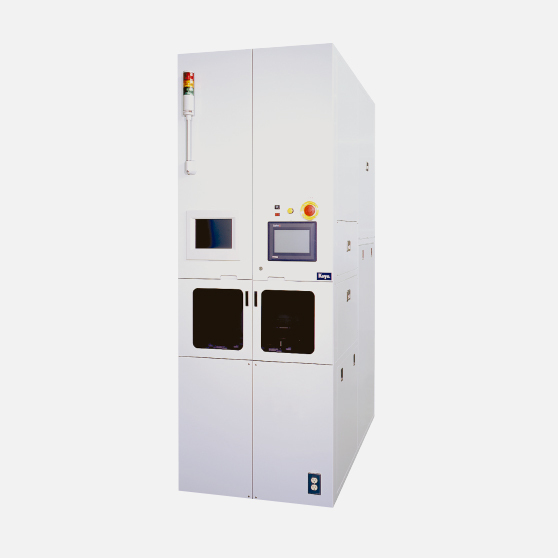 This system for 4- to 8-inch wafers performs activation and oxidation in a vacuum (LP) environment and N2 load-lock atmosphere. The upper and lower cross lamps (halogen) and a soaking system are used for higher in-plane temperature distribution uniformity. This lamp annealing system can process a maximum of 50 wafers (4-inch to 8-inch) through high-speed heating at 200°C/sec. The upper and lower cross halogen lamps achieve superior uniform in-plane temperature distribution. Thanks to the quartz tube designed to be resistant to vacuum, wafers can be processed in a clean vacuum (LP) environment and N2 load lock atmosphere. Please click here for inquiries.